with clean and inviting flooring. Sometimes operators find detailing, and sometimes detailing finds them. When Justin Labato got laid off from his job at a wood shop a decade ago he was like many other displaced workers during the economic downturn, out of work and contemplating his next move. Having a little extra time on his hands and in possession of a newly purchased used car in need of a serious scrubbing, he took it upon himself to learn how to detail his vehicle. He turned to an old colleague at a car audio shop for a few tips on how to properly detail his new ride, and was soon hooked on the industry. With his newfound detailing knowledge under his belt, Labato went in search of a local detailer to help mentor and teach him the necessary skills he would need to open his own detailing enterprise. Not surprisingly, finding an operator willing to teach their future competition proved to be difficult. Labato started working as a professional detailer in June of 2008 and within six short months would take over the reins. 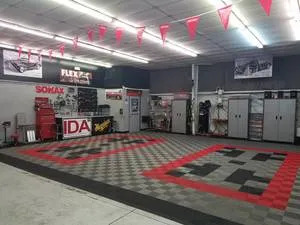 The previous owner was looking to transition out of the business and Labato was looking to enter the industry — the perfect situation for a budding entrepreneur. The serendipitous relationship had Labato sitting at the helm of a well-established detail operation in prosperous Melbourne, FL. As if going from rookie detailer to business owner wasn’t enough change for Labato, he was faced with a business-defining decision just weeks into taking over the shop. 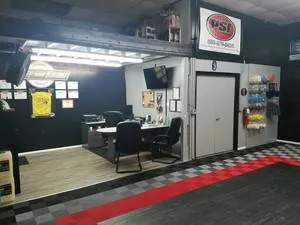 His friends over at the car audio shop had an opportunity for him — their 1,800-foot window tint bay was available and they wanted Labato to take over the space. 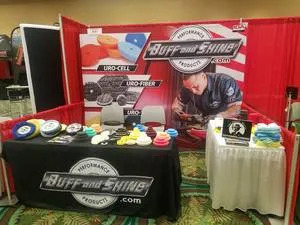 Labato is the detailing face of Buff and Shine. Labato is a member of Mother’s National Polish Team. before any detailing work begins. The move proved to be a pivotal decision for Labato and his business, allowing the operation and its owner to flourish on well-travelled Wickham Road — Melbourne’s main artery and home to countless retailers, restaurants, banks, and more. At the location Labato refined his skills and evolved from a basic skills operator to one of the nation’s most skilled paint correction and ceramic coating experts. 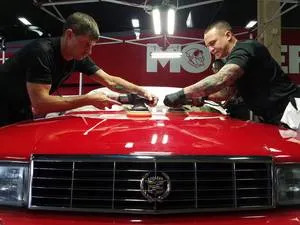 Labato credits his commitment to continued education and training for his ability to transform himself from a common core detailer to a detailing specialist with an appointment book packed three to five weeks in advance. When he was just starting out in the business Labato spent all of his free time watching Renny Doyle and Mike Phillips training videos on the Internet to learn from the masters. 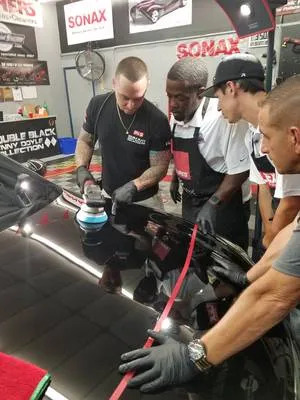 Over his first six years as a professional detailer, Labato was able to self teach the vital skills that would help him grow both his capabilities and his customer base. But his career advancement hit the fast lane in 2014 when he attended his first Mobile Tech Expo. It was there that he met Renny Doyle in person for the first time and subsequently began training with the renowned detailing guru. Within eight months of meeting Doyle, Labato had gone through his training and was invited to join the coveted Air Force 1 Detailing Team, an honor he enjoyed three more times. Ongoing training is the key to Labato’s success. Where Labato is today is the president’s seat at the International Detail Association. After serving a year as the vice president of operators, Labato transitioned to his new role in January when he was introduced at the 17th annual Mobile Tech Expo. 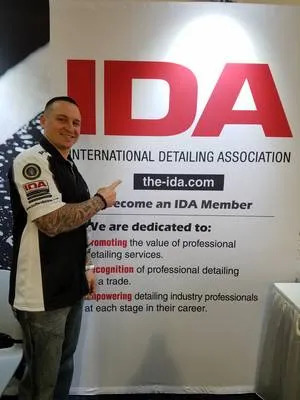 Labato’s four-year ride with the IDA has upped his profile both in his local community and the detailing industry at large and helped the detailing specialist attain a growing number of accolades. He was the first IDA member and first certified detailer in his county, the first pre-certified IDA member to go through Renny’s training, a member of the Air Force 1 Detailing Team, a member of Mother’s National Polish Team, a member of Gordon McCall Detailing Team, a trainer and mentor under Renny Doyle, and the lead global detailing consultant for Buff and Shine. For the past decade Labato has thoroughly enjoyed his work and it shows. His has built himself up from detailing newbie to the top of the detailing industry thanks to a commitment to continuous learning and training, and the ability to seize onto emerging market trends that have differentiated him in the increasingly crowded detail marketplace.